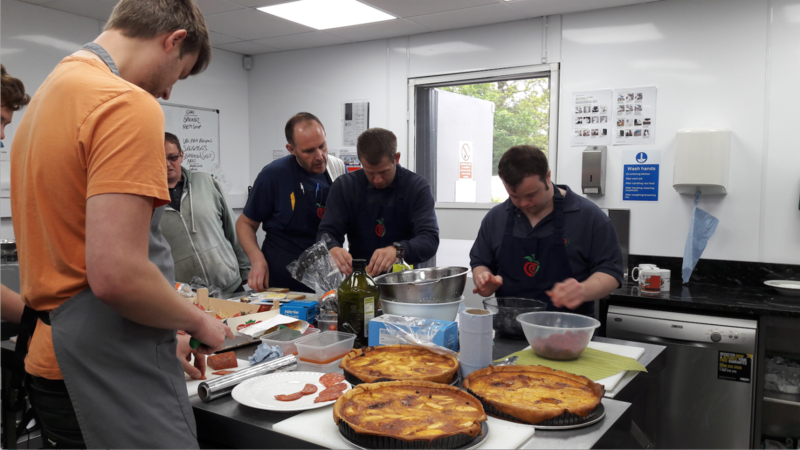 “Northcliffe Environmental Enterprises Team (NEET) engages people with learning disabilities through food and cooking sessions, helping them to understand and work with a variety of foods. 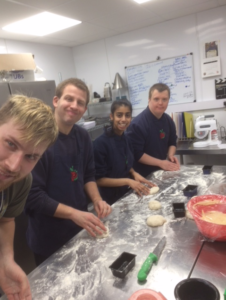 FareShare Yorkshire’s food gives us scope to make a range of exciting dishes and the opportunity to use and develop lots of different skills including skills for independent living. match ingredients with what they would like to cook and reflects what they want to cook at home. learn about healthy eating, looking at and understanding nutrition labels which helps people to make good food choices in the supermarket. choose food products more confidently because of familiar packaging, branding and sizes. taste and share food and information with peers and discuss food in a positive way. develop life skills in finance, budgeting and buying the right amount when shopping for food. The team have made a range of preserves to share and enter in local food shows where we have won awards, shared food at our community events like our annual BBQ where we showcased FareShare Yorkshire’s food along with local bought fresh ingredients. We also used the food alongside our own grown fruit and vegetables to show a positive food story and make a real difference to food waste. 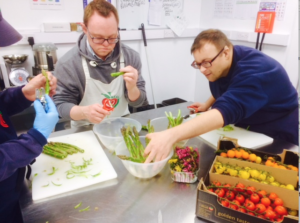 FareShare Yorkshire supports us to deliver more food sessions that contain a wider variety of foods, share food with identified service users who may not have access to fresh food at home, are financially challenged and struggle with shopping choices and ensure service users have a meal at NEET and food to take home.